26. RB Deondrick Glass, Katy (Katy) – OKLAHOMA STATE: Has the ‘born to play the position’ traits of vision, feet, and balance. Runs hard and is always churning for extra yards. Impressed when I saw him versus a fast and physical North Shore defense. 27. DB Marquez Beason, Duncanville (Duncanville) – ILLINOIS: Tougher projection simply because he’ll transition from receiver to corner but has all the athleticism to do it. 28. LB Will Williams, Chapin (El Paso) – BAYLOR: You probably haven’t heard of him and there’s probably still a good chance I don’t have him high enough. He’s an electric athlete with no concerns regarding fluidity. You need guys like Williams in the Big 12. Straight up steal. 29. WR Langston Anderson, Heritage (Midlothian) – OKLAHOMA STATE: Oh look, another Cowboys receiver that can beat you with power or speed. On top of it, he’s a 50/50 ball winner, too. 30. TE Jalen Wydermyer, Dickinson (Dickinson) – TEXAS A&M: Not super explosive for the position like some basketball players who excel on grass, but he’s a very fluid and an easy mover. I think he has above average upside as a blocker, too. 31. WR Arjei Henderson, Fort Bend Travis (Richmond) – FLORIDA: I like him as a target boundary receiver. Does well to use his body and attack the ball in the air. Solid but not dynamic on the ground after the catch. Chain mover and red zone threat. 32. OL EJ Ndoma-Ogar, Allen (Allen) – OKLAHOMA: Very smart kid who is going to a great scheme. Plenty athletic to pull where he can bring his power to bear. Good pop out of his stance. Should anchor well versus d-tackles. A bit limited when it comes to length. 33. TE Jared Wiley, Temple (Temple) – TEXAS: Multi-sport athlete who excels on the diamond as well. Giant frame, a bit of a project but very big upside. I hear he’s competitive which will help him maximize. 34. DL NaNa Osafo-Mensah, Nolan Catholic (Fort Worth) – NOTRE DAME: Has played different positions in high school but will likely settle into defensive line after his body matures. Assuming he keeps most of his movement skills he’ll have too much quickness for many offensive linemen. He could probably play a stand-up, edge role earlier in his career. 35. OL Javonne Shepherd, North Forest (Houston) – TEXAS: Giant size with surprising athleticism and good baseline traits. It’s time for him to put in work on the demanding technical aspects of the job. I foresee right tackle or guard. He’ll be a millionaire if he wants to be. 36. DT Enoch Jackson, Legacy (Mansfield) – ARKANSAS: You’d be hard pressed to find a better first step. The big question with him is lack of length but look around, shorter defensive tackles are dominating in college and the NFL alike. 37. TE Austin Stogner, Prestonwood Christian (Plano) – OKLAHOMA: One of the knocks on Stogner I’ve heard is that he’s maxed out as a player. Even if that was true, and I’m not saying it is, he’s a good player who understands how to get open and make contested catches. He’s also going to an offense that’s kind to flexed-out tight ends. He might not maximize that position, but that position will maximize him. 38. 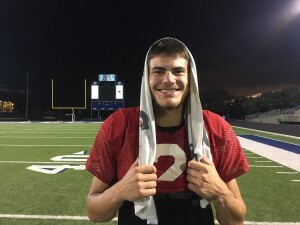 QB Grant Gunnell, St. Pius X (Houston) – ARIZONA: I think the networks probably over-steered in dropping him to a three-star, though level of competition is a valid concern and he’s been supported by a talented cast which makes things even easier. The windows just aren’t the same in the higher classifications. Still, he has great size, a good arm, and underrated athleticism. 39. DL Kori Roberson, Manvel (Manvel) – OKLAHOMA: OU made a good evaluation here. I wasn’t all that impressed with his junior year but he looks great as a senior. For a bigger lineman that profiles to the interior, he gets off the ball and into the o-lineman well. He has some shock power when he gets there and a nifty push-pull move. Shows good motor within plays and surprising closing speed. 40. OL Isaiah Hookfin, Dulles (Sugar Land) – TEXAS: Has the athleticism, bend, and quick feet to mitigate any concerns one might have over lack of length. With proper buy-in of the UT S&C program Hookfin should compete to start at tackle down the line. 41. OL Brant Banks, Westbury Christian (Houston) – NEBRASKA: Consider me a fan and I love that he went to Nebraska where I think he’ll be maximized by Scott Frost and company. He’s grown into playing on offensive line after starting on defense, and already has a head start on his physical and technical development as an early enrollee. This guy is going to look like one of those Tom Osborne sleepers of yesteryear. 42. OL Landon Peterson, Permian (Odessa) – TEXAS TECH: Athletic off the ball, plays pissed off and with a flat back. Has the quickness to develop into a very good pass blocker. I’m bewildered by his lower rating. If you’ve read my stuff or listened to the Eyes of Texas are Upodcast you know I advocate growing your left tackles. Peterson is similar to Banks, just not quite as big. Great piece for Matt Wells. 43. OL Andrew Coker, Taylor (Katy) – TCU: He’s come a long way in the last couple of years and is on a good developmental curve. He’ll be a tackle for TCU but would be a guard at some other places. 44. WR Kam Brown, Colleyville Heritage (Colleyville) – TEXAS A&M: I don’t foresee stardom for Brown, but I think he can be good in the Camron Buckley role. Maybe not great in any single regard, but the good in the composite. 45. QB Jacob Zeno, John Jay (San Antonio) – BAYLOR: Has a rifle for an arm but needs to sight it in. Athletic for a pocket passer, but not a dangerous runner. Good building block for whoever is the coach after Matt Rhule. 46. WR Jalen Curry, St. Pius X (Houston) – ARIZONA: Excellent, strong build. Runs decently well but may have trouble separating against better corners. Have heard hands can be inconsistent. 47. DE Braedon Mowry, Taylor (Katy) – TEXAS A&M: I wasn’t sold on him as a junior but really liked his senior year. He could be a bit of a tweener, but he’s cat quick for his size. 48. RB Darwin Barlow, Newton (Newton) – TCU: No glaring weaknesses in his game and really he’s only lacking a little more burst from being a truly national prospect. 49. DL Gilbert Ibeneme, Pearland (Pearland) – TEXAS TECH: He had a good bounce-back year after being injured his junior season. There’s a hint of bounce to his game. He moves well laterally. I think he’ll bring pretty penetration to the offensive line. Very good play-strength. 50. DE Peter Mpagi, George Ranch (Richmond) – TEXAS: The early enrollee reminds a bit of Charles Omenihu as an upside player in need of development. He doesn’t quite possess the length of Omenihu, but he’s a bit quicker and also plays with good leverage. 51. 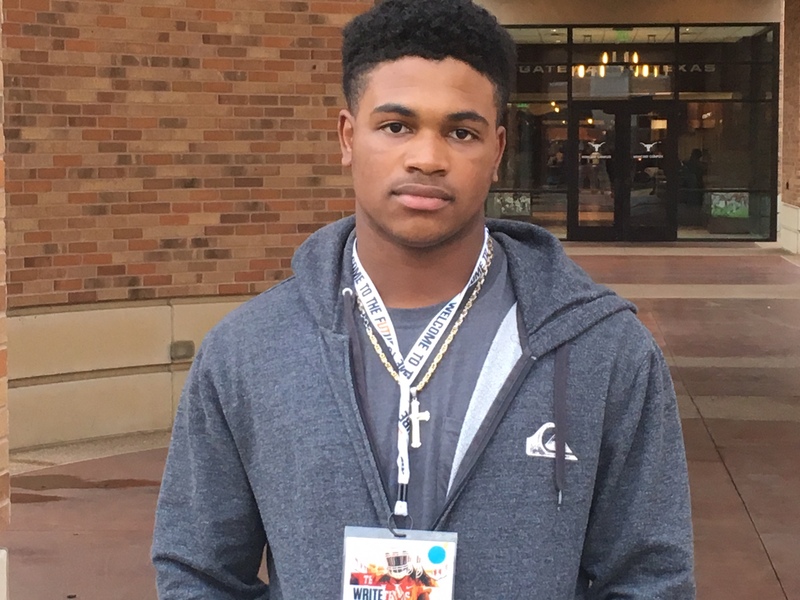 RB King Doerue, Tascosa (Amarillo) – PURDUE: He’ll be transitioning from what looks like the wing back in the Wing T to the Jeff Brohm offense. It’s a down year in-state but Doerue looks to have the best burst of any feature back. Great build that should hold up in the Big 10. 52. 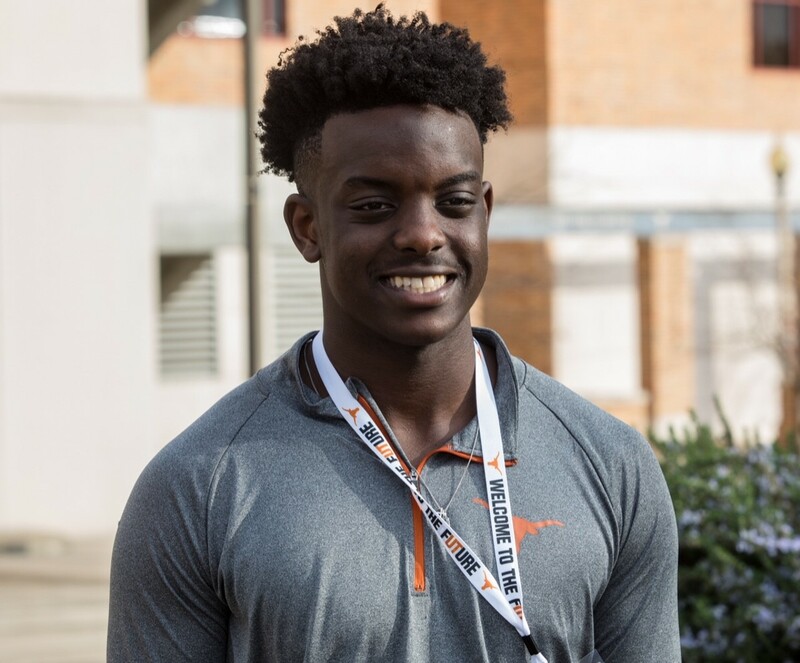 DL Marcus Stripling, Mayde Creek (Houston) – OKLAHOMA: There’s a disconnect between his ability and production but his quickness makes him a good fit for new OU defensive coordinator Alex Grinch’s defense. 53. QB Maverick McIvor, Central (San Angelo) – TEXAS TECH: Did you know Charlie Brewer’s dad played at Texas? I’m serious, he did. Get ready to hear the same regarding Rick’s son. Big arm, solid athlete, and studious. Missed most of his senior year but he’ll have plenty of time to heal and learn behind Alan Bowman. 54. OL Layden Robinson, Manvel (Manvel) – TEXAS A&M: Has the potential to be very good as a run blocker. Shows the ability to play with good pad level and leverage. Lots of work to do as a pass blocker but shortcomings in that department won’t hurt as bad at center. 55. LB David Ugwoegbu, Seven Lakes (Katy) – OKLAHOMA: Very good athlete that could play offense or defense in college. I like him as a stand-up Jack linebacker rather than defensive end. Not sure he’d hold up with his hand in the ground. 56. RB Daimarqua Foster, Hirschi (Wichita Falls) – TCU: Solid all-around back, runs it up inside, has enough to speed to bounce it. Runs a bit bigger than he looks. 57. QB Jacob Clark, Rockwall (Rockwall) – MINNESOTA: Quick actions, a quick set up and quick throwing motion for a tall signal-caller. Can throw with power or take something off when needed. Plenty of arm strength with more on the way. Really solid prospect. 58. RB Qualan Jones, Trinity Christian School (Cedar Hill) – BAYLOR: Surprising speed to the edge for a bigger back. Runs with the power you’d expect. Your best bet is to get to him before he accumulates downhill speed. Good plant-and-go runner. 59. WR TQ Jackson, Jefferson (Jefferson) – ARKANSAS: Good composite of size, strength, and speed. Won’t be an easy guy to jam and if you miss it he can punish deep. 60. DL Taurean Carter, Legacy (Mansfield) – ARKANSAS: Carter is yet another lineman in the 6-foot-3, 250-270 pound range who will play an interior role. 61. WR Kennedy Lewis, Melissa (Melissa) – TEXAS: Good size and speed on the field and on the track. A bit raw as a route runner but he profiles to the simpler vertical routes. 62. LB Tyrone Brown, United (Beaumont) – BAYLOR: Rhule clearly understands this evaluation thing. Brown’s a high upside developmental player thanks to his length and frame, as well as his initial quickness. He missed most of his senior season but it’s clear the foundation is there to be a big time player. 63. DE Colt Ellison, Aledo (Aledo) – TCU: I liked his junior year as he really pushed the pocket from the edge. He was doing more of the same this year before tearing his ACL and MCL. Hopefully he regains all of his athleticism. He’s not really an arc bender, but he can run through the offensive lineman’s shoulder. He should be effective stunting. Can’t rule out him growing into a defensive tackle. 64. WR DK Blaylock, New Deal (New Deal) – BOISE STATE: Great length. Long strider in the open field but can shorten it in close quarters. Not sure why he wasn’t discussed more. 65. 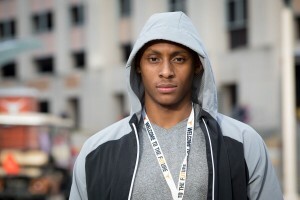 DB Bobby Wolfe, Madison (Houston) – ARIZONA: He’ll start out at corner but I like him at nickel or safety more. Not sure he has the feet to play outside but he does have a good build that will easily get north of 200 pounds. 66. QB Grant Tisdale, Allen (Allen) – OLE MISS: Dual-threat with underrated athleticism and great leadership qualities. Whatever is in the playbook he can make it go, whether it’s RPO’s, vertical routes, or running it himself with the numbers advantage. 67. DL Jason Gold, Clear Springs (League City) – NORTHWESTERN: This is me trying to grow the defensive end into a tackle. I think he can do it, and if so he’ll be a plus athlete with pass rushing upside. Good mobility and body mechanics. NU really knows how to evaluate and develop its players. 68. DL Hunter Spears, Sachse (Sachse) – NOTRE DAME: Physical and strong, Spears uses his hands well to keep offensive lineman off him while he locates the ball carrier. He moves well but isn’t overly explosive. Could play end or nose in a three-man front. Will be better stopping the run than getting after the quarterback. 69. DB Jonathan McGill, Coppell (Coppell) – STANFORD: Excellent instincts allows him to always be in the thick of things. Sticky coverage skills for a nickel/safety. Lack of height hurt him in recruiting, well, at least until Stanford came calling. Great fit for that program and conference. 70. WR Jaylen Ellis, Cedar Ridge (Round Rock) – BAYLOR: Highly productive vertical threat with track speed. At a minimum he should be someone who demands safety attention deep but could evolve into something much more. 71. ATH Tamauzia Brown, Newton (Newton) – TCU: Could play wide receiver, corner, or safety. I have his ceiling as a safety with range, ball skills, and man coverage ability. 72. WR La’Vontae Shenault, DeSoto (DeSoto): I liked his brother Laviska but not enough. Looks similar to his brother as an all-around playmaker. Might not have the same ball skills, but looks a tick faster. 73. ATH Peyton Powell, Permian (Odessa) – BAYLOR: Could play wide receiver or corner. Corner is probably where his traits best project if he wants to mix it up. Rhule will start him on the right track. 74. DB Keeyon Stewart, North Shore (Galena Park): Played safety in high school but projects to corner or possibly nickel in college. Runs extremely well and will hit. 75. OL Beaux Limmer, Lee (Tyler) – ARKANSAS: An offensive tackle who will play center in Fayetteville. He has the quickness and the ability to play low against shorter players. Aggressive and quick off the ball. 76. LB Curley Young, Hendrickson (Pflugerville) – CALIFORNIA: Sort of a unique prospect in that he’s played as a stand-up linebacker and with his hand in the ground. He probably best projects to a traditional role. Shows some legitimate suddenness and striking and is already used to grappling with bigger offensive linemen. A little slight right now, but dense and will fill out nicely. My lone complaint is he doesn’t raise hell with a red sash around his waist like Curley Bill. Justin Wilcox with the potential steal. 77. OL Cole Birmingham, Katy (Katy) – OKLAHOMA STATE: Looks much more comfortable run blocking, which isn’t uncommon for a high school player. Plays with good pad level in the run game, suggesting a high floor at guard when you factor for his size. Solid feet. 78. DB Anfernee Orji, Rockwall (Rockwall) – VANDERBILT: Good size and physicality to play downhill or in the box as an extra linebacker. Not a guy you’ll want in man, but he can range for pass break ups. 79. DL Nelson Ceaser, Ridge Point (Missouri City) – HOUSTON: Whether he plays linebacker or defensive end doesn’t matter as long as you get him screaming off the edge in one-on-one pass rush situations. Shows good bend and fluidity. Plays under control versus the run. He’s going to have a big career in the American Athletic Conference. 80. DB Marques Caldwell, Alvin (Alvin) – TEXAS: Missed much of his senior year with a shoulder injury. Great build with ideal length. Could be a corner or nickel depending on need and where his body goes. 81. LB Zach Zimos, Fort Bend Travis (Richmond) – ARKANSAS: S&C is going to be very kind to Zimos as his nearly 6-foot-4 frame fills out with ease. He’ll have to learn the nuances of linebacker play, but he moves well for the position as evidenced by him playing safety earlier in his career. 82. OL Marcus Alexander, Sunnyvale (Sunnyvale) – OKLAHOMA: He’s either a guard or center depending on the mental side of the game. 83. TE Nolan Matthews, Reedy (Frisco) – ARIZONA STATE: Good all-around tight end who blocks and receives well whether in line or flexed out. Not explosive but athletic enough. Could turn into an exceptional blocker. 84. DB Deshawn McCuin, Jacksonville (Jacksonville) – TCU: Could play either side of the ball in college but best projects to Patterson’s three-safety defense. He’s sort of the of safety version of Jeff Gladney. 85. OL Preston Wilson, Argyle (Argyle) – OKLAHOMA STATE: Likely destined for center or guard where his athleticism better translates. Feisty player who is going to try and finish the play by landing on top of his opponent. 86. DL Jayden Jernigan, Allen (Allen) – OKLAHOMA STATE: Good combination of quickness and strength. Can stack and shed or simply beat the man in front of him. More fluid than most d-tackles you’ll find. Plays well down the line. 87. OL Brannon Brown, O’Connor (Helotes) – TCU: He’ll give TCU some much needed length and size at guard. Could struggle some with the quicker defensive linemen in the league. 88. CB Alex Hogan, Lamar (Houston) – TEXAS TECH: Light on his feet and can run. Has been well coached. It will be interesting to see what he looks like at 190 pounds; if he still moves the same, watch out. 89. WR Genson Hooper-Price, St. John’s (Houston) – NORTHWESTERN: He looks and runs like a future NFL receiver but the production hasn’t been there even against poor competition. 90. RB Sincere McCormick, Judson (Converse) – UTSA: Great job by Frank Wilson keeping the local product home. Quick and fast with the compact build to handle a large workload. 91. OL Gabriel Hall, Waller (Waller) – BAYLOR: He could play defensive line but I think his upside is on offense. If he does play on that side of the ball he could make this ranking look silly in a few years’ time. 92. 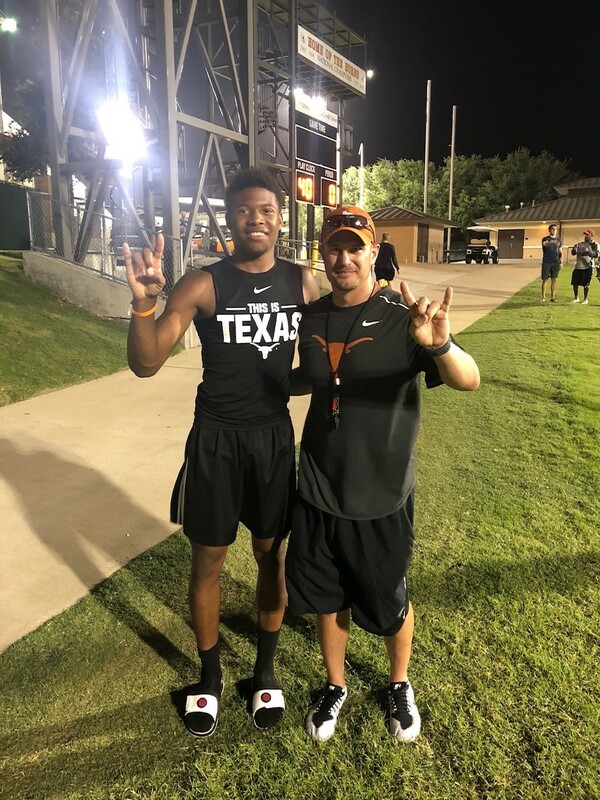 CB Miles Williams, Mansfield (Mansfield) – CALIFORNIA: His combination of length and quickness is right in line with what schools are looking for. Has played corner, receiver, and safety. Looks to be a solid open field tackler. 93. DE Matt Jones, Permian (Odessa) – BAYLOR: Played a stand-up OLB role but they’ll want to grow him into a defensive end and have him keep most of his athleticism while adding strength. 94. ATH Ty DeArman, Bowie (Arlington) – OKLAHOMA: Just what Lincoln Riley’s offense needs, a Patriots-style slot who is always open. DeArman is an explosive player whether at receiver or safety. He’ll carve out a role. 95. DB Dee Winters, Burton (Burton) – TCU: Dominated on both sides of the ball in the lower ranks but will nail down one of the Horned Frogs’ three safety spots. Patterson likes to tinker with guys’ positions and Winters looks to be a pretty high floor defensive back once he adjusts to the competition. 96. QB Terrance Gipson, Westfield (Houston) – SMU: I think he was in line to pick up some bigger offers had he not been hurt early in the season. He’s a good athlete but prefers to make plays from the pocket. Pretty lively arm and accurate on the deep ball. 97. DB Brandon Crossley, Little Elm (Little Elm) – COLORADO STATE: Plays both ways but was part of a secondary for Little Elm that had a handful of D1 prospects. His explosiveness and ability to stick with WRs in different coverages are impressive. That explosiveness is evident in a long jump PR near some of the marks posted in the most recent 6A finals. 98. DE T.J. Franklin, Temple (Temple) – BAYLOR: I think he’d be a tremendous offensive tackle if he wanted to be but he doesn’t necessarily have to switch to offense to be a good college player. 99. OL Cam’Ron Johnson, Shadow Creek (Pearland) – HOUSTON: Inconsistent tape but his good clips provide optimism for the future. He can move his feet and generate power in a hurry. 100. TE Garrett Miller, Round Rock (Round Rock) – PURDUE: Guys who are 6-foot-5, 230 pounds are becoming increasingly easier to find. I’m not sure there’s a big difference between Miller and a handful of others who just missed the cut.